My Tomatoes seedlings already 2 weeks old, its time to trim its population and some minor transplanting to ensure space between plants for good growth. 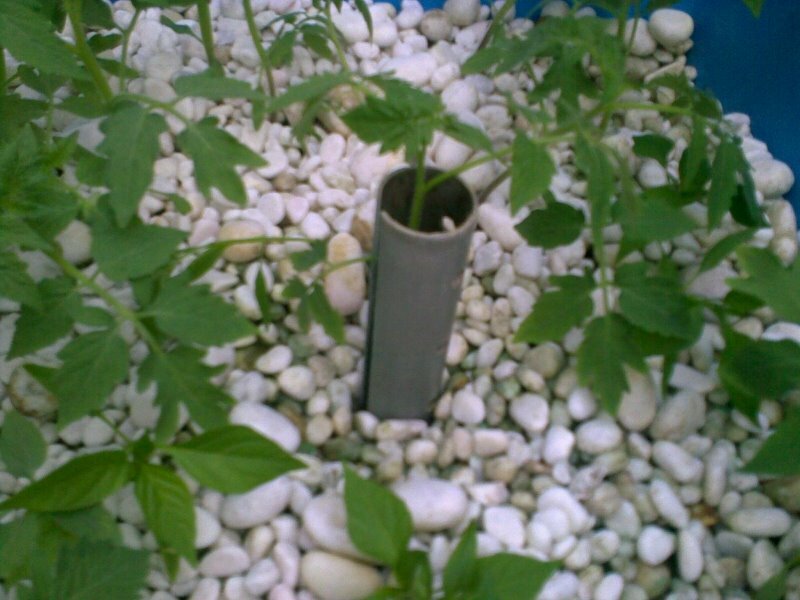 Tomatoes is a soft stem plant, they can be easily damaged especially seedlings and what make it worst is the growth medium used are gravel. Care must be taken not to damage those seedlings, while replanting them. 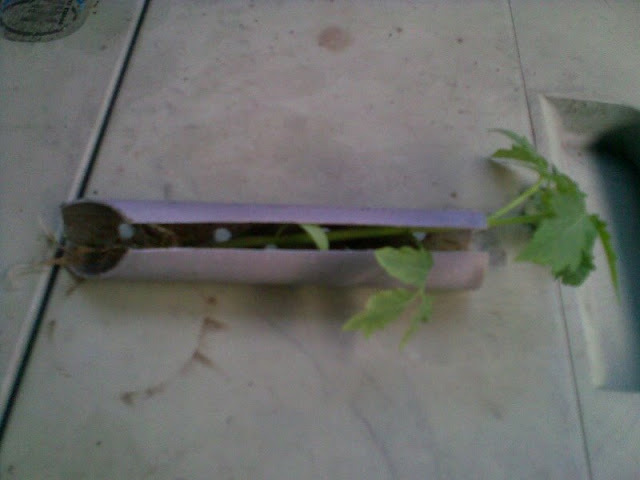 I use a simple home made protector to keep plant undamaged while the insertion takes place. Above protector, made up of PVC tubing. 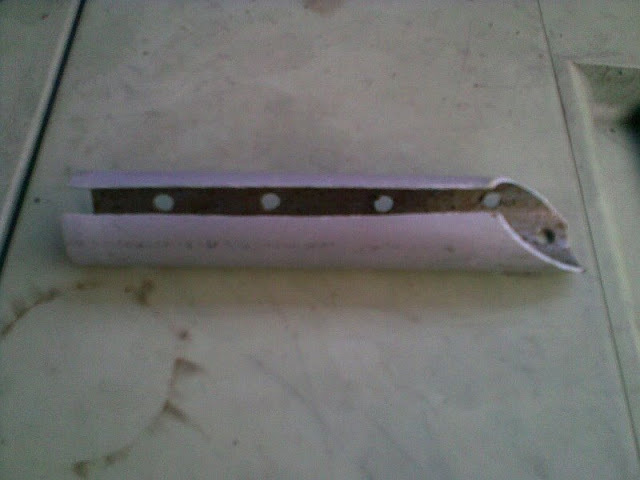 Cut about 6" in length with one end like a wedge and a slot made along its length. Seedling is place inside protector via the slot, and loosely held in position. Wedge in diagonally so that no gravel will travel up the pipe then slowly release seedling through the slot, and tidy up the gravel. This way I manage to protect the seedling and my fingers too.. those that have experience it know how painful it could be sometimes.